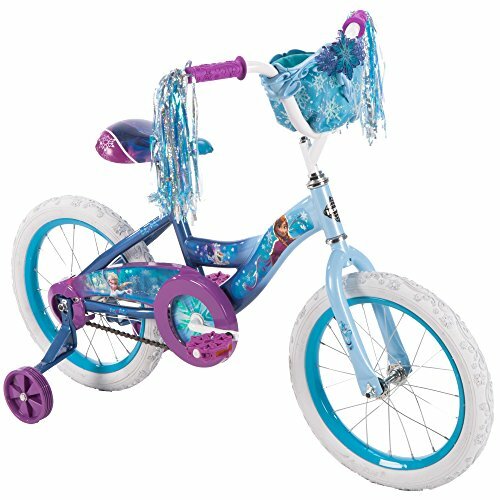 This is a fun beginner bike for kids who are starting to learn how to ride. 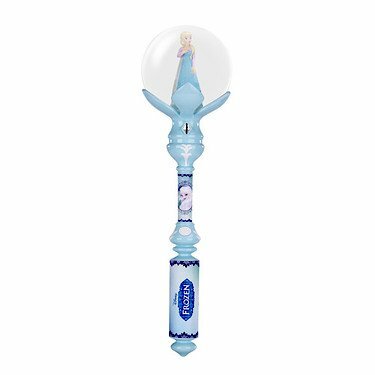 It includes a fun Frozen motif and comes with removable training wheels. 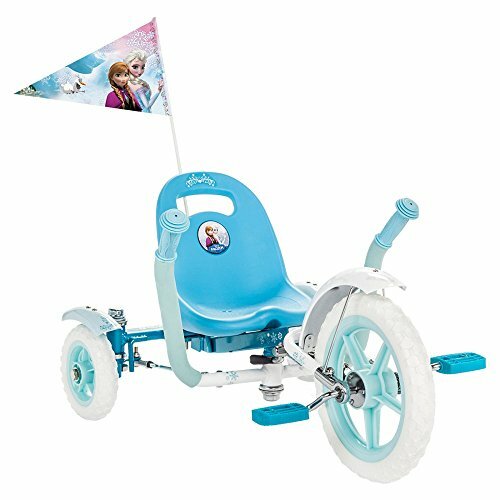 This darling 16" girls' style bike has images from Frozen on the frame and chain guard. The cute bike also has streaming sparkling tassles on the handlebars and comes with a matching handlebar basket. Another cute detail is the snowflake-shaped pedals! This is a quality starter bike from Huffy. The durable steel frame is designed to last. The seat post is easy to adjust and the training wheels are simple to remove so this Frozen bicycle can grow with your child. The coaster brakes are easy to use, too.